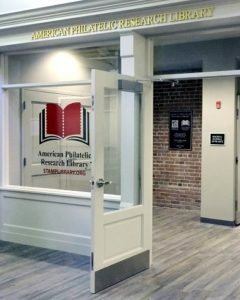 As part of a national celebration and recognition of libraries and librarians, today begins a very special week here at the American Philatelic Research Library (APRL). Sponsored by the American Library Association (ALA), today marks the start of the 60th anniversary of National Library Week (April 8-14). First observed in 1958, the annual event recognizes the important contributions that libraries and librarians across the country play in their role as organizers and facilitators of knowledge, resources and research. 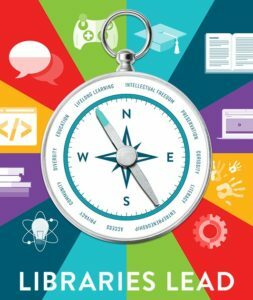 In honor of this special week and this year’s theme of “Libraries Lead”, APS members and frequent patrons of the library were asked how the APRL has assisted them in their research and benefited them in their collecting. In other words, how does the APRL “lead” them to a better understanding of their specific area of collecting and enhance their appreciation of the hobby. 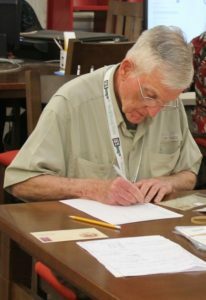 In the daily posts to follow for the week ahead, APRL patrons from various perspectives in the philatelic world will share their thoughts on the vital role libraries and librarians have played in their exploration of philately. Varying submissions from exhibitors, exhibit judges, philatelic authors and editors, auction house appraisers, international researchers and specialized collectors will explore the many facets of the hobby that are enhanced by the APRL and provide a diverse and distinctive look at the place the APRL plays as a leader in philatelic resources and research. understand. It seems too complicated and extremely large for me.